Looking forward a bit in the manual to do some planning... is it advisable to do all control rigging, (elevator, rudder, and flaperons) prior to covering any surface? It seems like a lot of builds the tail is done before cover so I’m wondering if the flaps should be done before covering the wings. I didn't do the rigging of the flapperons until nearly last thing. I fealt that I needed the fabric in place and then the flapperon hangers fixed permanently for the rigging to be done. I rigged the aileron and flaps all the way to the flaperon mixer before covering. If I remember right there are angles you are able to set on the mixer. This only left connecting the vertical pushrods to the flaperons, setting neutral and checking travels when I installed the flaperons. I was thinking the same but I imagine a full house of clecos would be enough but I think I’ll just wait and rig the mixer only. Wing tips are trimmed and flaperon ends shaped and hysoled. My scribe lines were definitely off so I scribed my own. 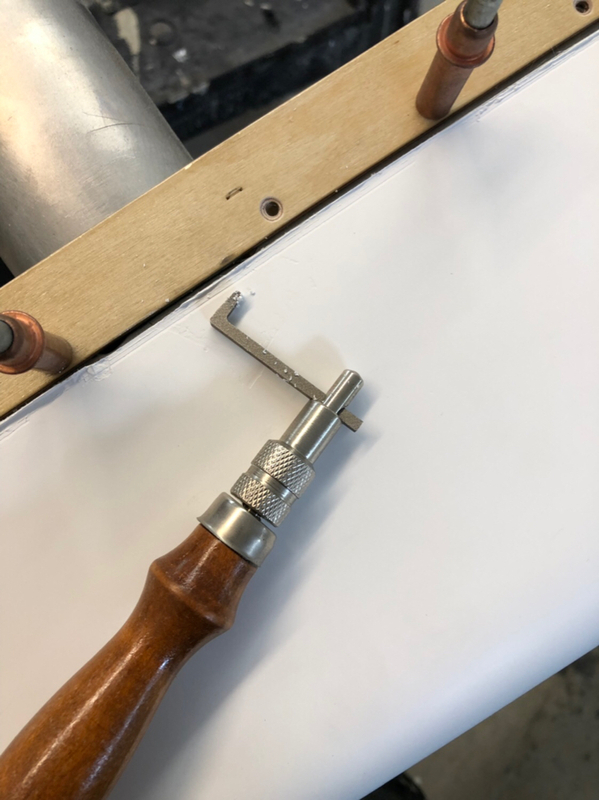 I fit them on the wings and positioned them until I was happy with the position then used this leather tool to scribe a line referenced to the inside edge of the cap strip. Super easy. Highly suggest picking one of these up if you’re working on your wing tips. I did find one bubble in the fiberglass that I will need to fill with super-fill. Oh and I dropped in the header tank. I went to a polyfiber course this last weekend. I feel like Im ready to cover. Really great class. That being said I haven't gotten too much done. Last night I got one wing primed and ready for the leading edge install. Ill paint the next wing when the weather improves. My first time spraying anything. It was actually kinda nice, I enjoyed it, room for improvement though for sure! Been working on paint designs as well. I really like the Bahama Blue color. Feedback as always is welcomed. Brian, I took some inspiration from your scheme just removed the lightning bolt and followed the door jam. Brakes and sticks are in. Control feel is nice with the added leverage, almost no appreciable friction. my 2 cents, I like 3 and 5. My vote would go to 3/7. Well, yall picked out my favorites. Still iterating a bit. In the meantime Ive been working on finishing up my wings. 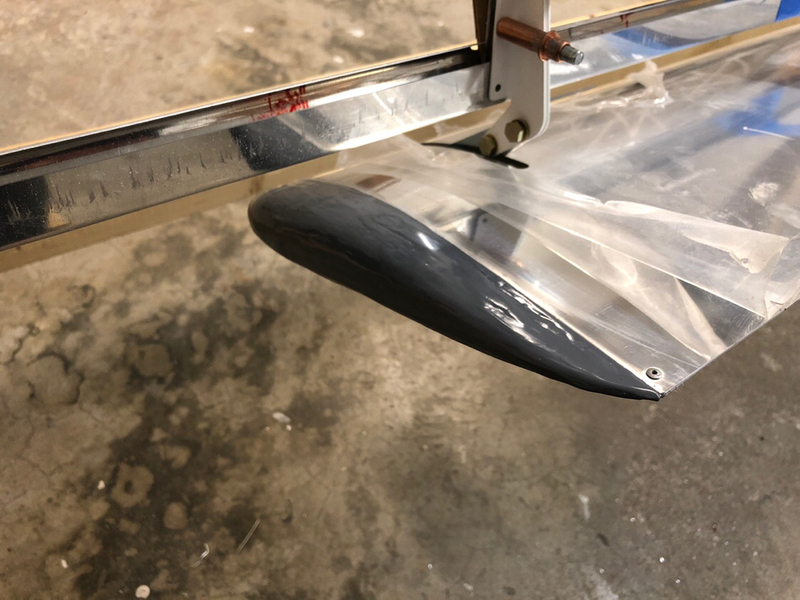 One wing is primed and has the leading edge installed. Still waiting on weather for the second. Also got my GMU11 plate installed. I decided to place it in the first bay in the right wing on the inbound rib. I can reach it with the wingtips off and it should be compliant with Garmin recommendations (or as compliant as you can be in a Kitfox!). 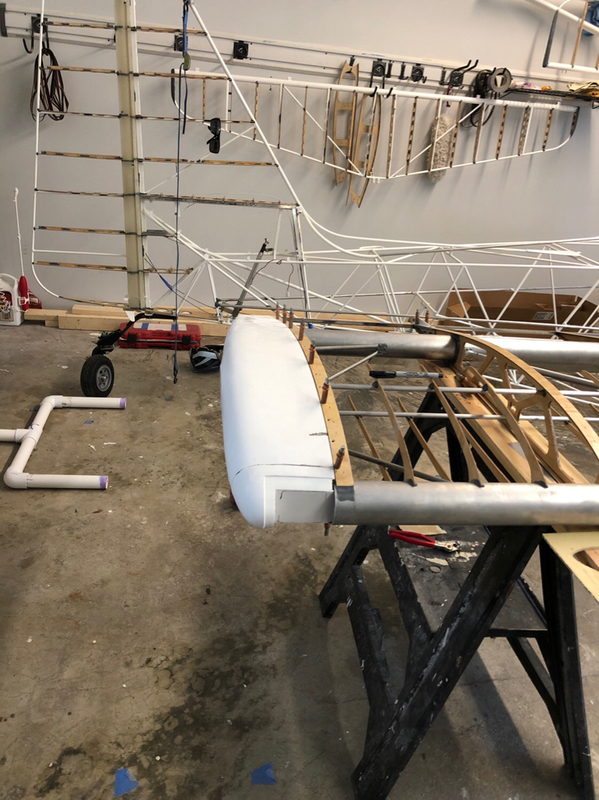 I figured placing it in the right wing would also even out the cable/tubing runs in the rear spar, with the pitot on the left wing. 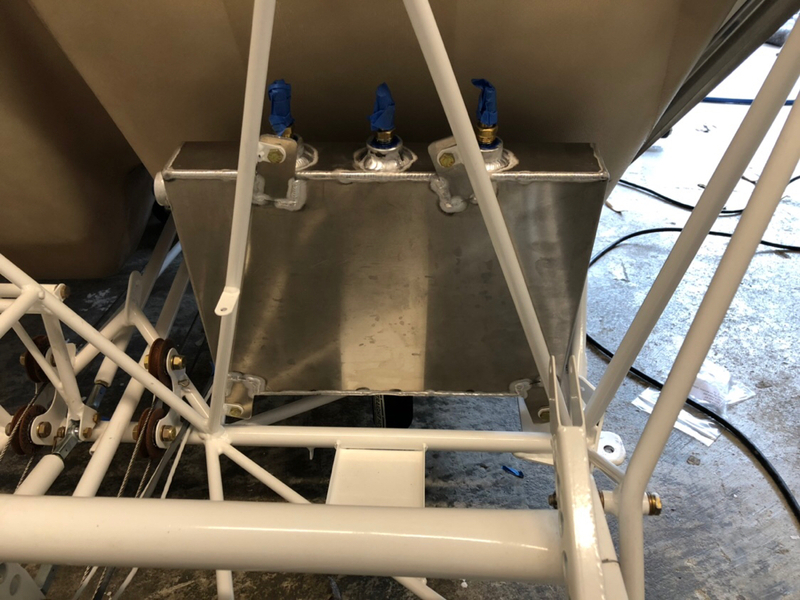 I plan to mount the unit but attach the connector after covering. I also got started on my lift strut fairing. Ive decided not to go with the Al cuff. My thinking was that its kinda heavy and would still take quite a bit of superfill to look good. I was careful with the fit of the ends so when I do fill and smooth I think the weight will be minimal compared to the cuff. And I think it will look better. The only advantage I see to the cuff is that it may add some strength if someone accidentally trips/steps on the fairing! I still need to trim the trailing edge so it doesn't intrude on the fuselage fabric. 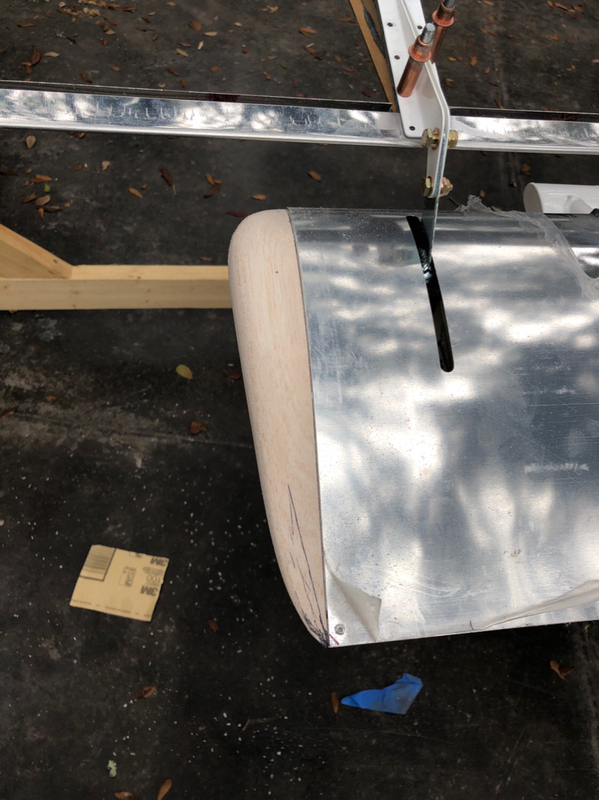 I will plan to put a single rivet in the leading fairing's trailing edge to make sure it doesn't unzip. I agree that you need PPE beyond respiratory protection. Full coveralls with hood, and gloves. Don't come into contact with the paint, especially when it's a mist. However, it's not accurate that charcoal filters are ineffective against polyisocyanates. Read the article I linked to above. OSHA and NIOSH both consider Air Purifying Respirators effective against Polyisocyantes if a cartridge change schedule is used. The article even points out that charcoal cartridges actually remain effective against isocyanates for a relatively long time. OSHA's previous "supplied air only" policy was not based on the effectiveness of filters, but on the supposedly poor warning properties, i.e. by the time you smell them, you're above the exposure limit. Again, if supplied air makes you feel comfortable, go for it. Just know that there is a lot of incorrect or outdated information about APRs and isocyanates. Choosing an APR is not taking a gamble with your life and health, if you use it correctly. Any respirator must fit correctly, be stored correctly, and be used correctly. You must perform at least a negative pressure check every time you put it on. But there's no dispute that if you're using Poly-Tone (on fabric) and polyfiber enamel (on primed metal), then one only needs a charcoal-canister respirator, right? And a related question -- does anyone who used Poly-Tone on the fabric just use the Poly-Tone on the metal also? With what result?